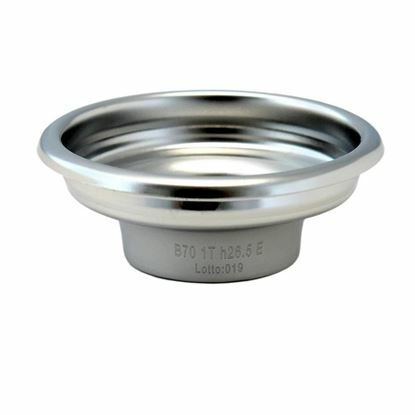 IMS Competition filter basket B70 1T H26,5 E, The shape was created by I.M.S. to obtain the proper ratio between the base and height of the coffee puck in relation to capacity. The lower part of the filter has a truncated cone shape. The middle section is connected to the upper body by means of specific corner rounding. This shape has been designed to exploit the whole coffee puck, and to facilitate drying and expulsion. 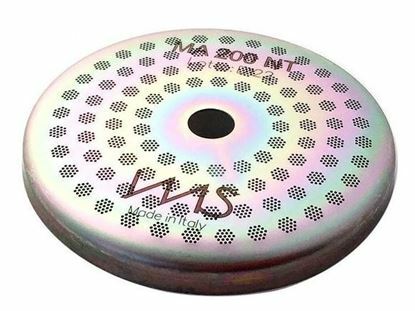 Ims shower screnn, NT Integrated membrane shower screen with 200 µm filtering capacity, featuring a Quartz surface applied with nanotechnology.